Francis Joseph (Frank) Dixon was born on 3 March 1909 at Waterloo, Sydney, son of Walter L Dixon and his wife Marjorie M, née Mackey. In 1943 he married Josephine May (b.1918), daughter of Joseph P and Mary Ellen Corcoran and they had one son. Frank Dixon died at Randwick on 7 September 2000, survived by his wife Dinkie, son Ian and grandchildren. Following a Requiem Mass at Our Lady of the Sacred Heart at Randwick, he was buried at Waverley Cemetery. Franks Dixon was educated at the Christian Brothers School at St Mary’s Cathedral, Sydney. He played Rugby League with the South Sydney Club in 1928 and 1929 before moving to the Australian Code of Football and playing with South Sydney in 1931 and 1934. In 1934 he was appointed Captain and Coach of South Sydney Australian National Football Club and led the team to Premiership wins in 1934 and 1935. He was NSW Captain and Coach from 1934 to 1937. He established a record by representing and captaining the State on 27 occasions and South Sydney 134 times. He was State Coach and Selector from 1946 to 1951 and Senior Vice President of NSW Australian National Football League. Dixon served with the 9th Australian Division of the AIF in the Western Desert and New Guinea from 1940 to 1945. Before his election, he was an employee of the Sydney City Council. He was a member of the Catholic Club, Kings Cross RSL and Paddington-Woollahra RSL and a life member of South Sydney Australian National Football Club. 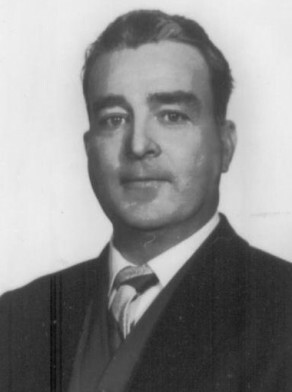 Dixon was Alderman for City Ward, 1 December 1956 to 4 December 1959 and for Fitzroy Ward, 5 December 1959 to 30 November 1962. He was a member of the Health and Recreations Committee, 1957-62, and the Works Committee, 1957-62 and its Vice-Chairman in 1959. Dixon was Deputy Lord Mayor from 1960 to 1961.